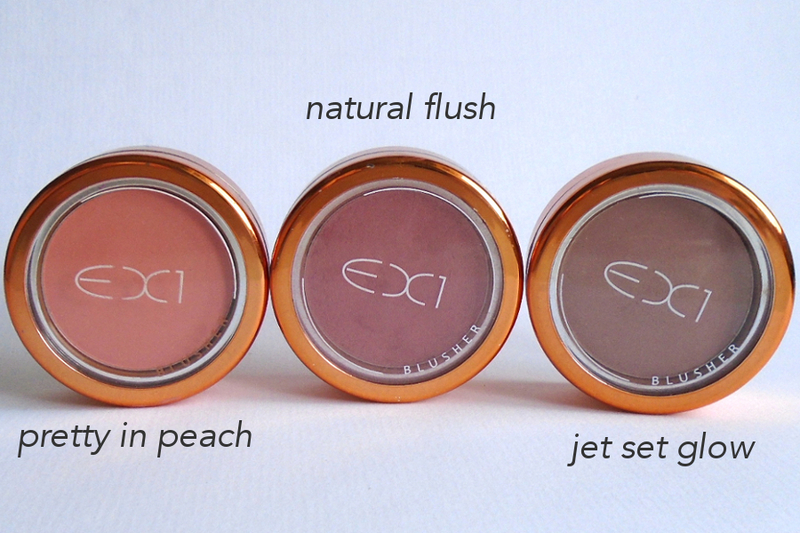 I was first introduced to EX1 cosmetics through one of my favourite beauty guru's, Chloe Morello. She used their Invisiwear Foundation in a couple of her videos. This was before they had expanded their shade range, so I didn't take the leap to try out the foundation. 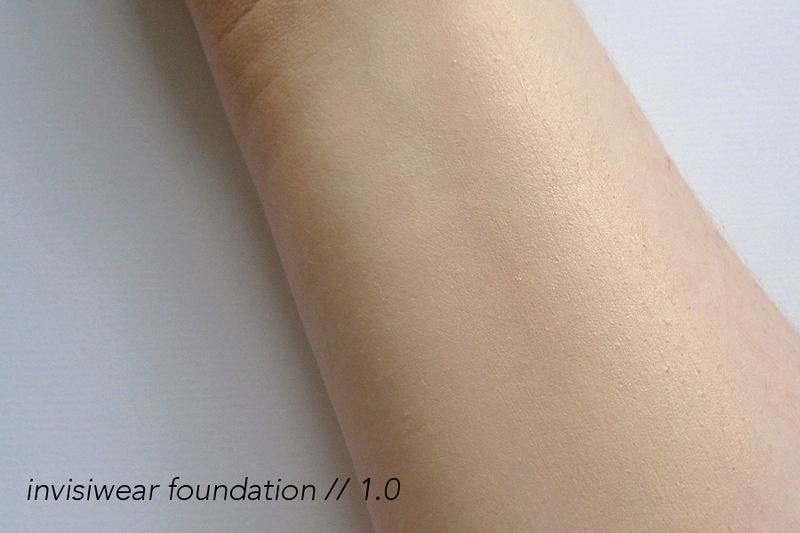 When I learnt that they were expanding their foundation shades, I was so happy that there was a shade suitable for me. About a year ago, I purchased the foundation, used it in a video and the people at EX1 reached out to me and sent me a few of their products. This was actually such a special moment for me, I didn't have as many followers as I do now, so for a brand that is so popular to reach out to lil' old me was a very big deal. I'll probably say that was a big milestone for me and if anything really made me want to work harder on my insta and youtube, so a very big thank you to EX1 for motivating me to be where I am now. 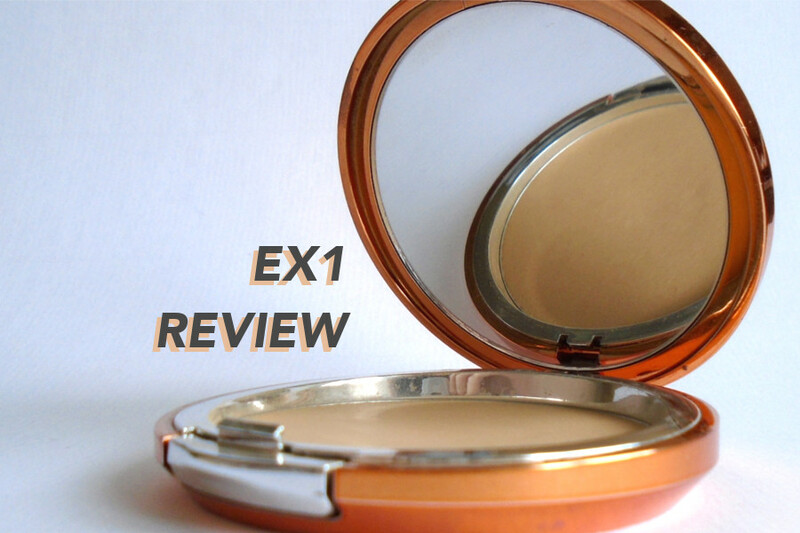 'EX1 cosmetics is a multi-award winning range of make-up founded by biochemist Farah Naz, who struggled to find make-up that perfectly suited skin tones like her own. Dedicated to those with yellow undertones, EX1's fanbase included Hollywood's A-list, the world's top models and beauty editors alike. So this brand was actually started by a female Biochemist, Farah Naz, who struggled to find complexion products to match and suit her olive and yellow toned skin. Since they developed their products, they've become increasingly popular with the MUA's of A-List celebrities like Britney Spears, Adele, Kim Kardashian and Selena Gomez. I love that this brand was created with the concept of inclusion and to cater to more skin tones, I feel like it's something that should be celebrated, as this is an issue that really needs working on in the beauty industry. When this brand first started they only had around 3 or 5 shades, catering towards those with medium and deeper skin tones, which makes sense as those are the most common tones with yellow/olive undertones. It wasn't until last year that they expanded their shade range on both ends, adding in paler and deeper shades to have a total of 13 shades. I was pleased to find that there was finally a shade pale enough for me, so I bought my first bottle on feel unique. Now my issue is that they haven't expanded their concealer or powders to match this range, they still only have three shades each so unfortunately they don't match me, but I do still use them which I will talk more in depth about below. I do understand that products take a long time to make, formulate the right shades and pigment with the same consistency so I'm sure that this is something in the pipeline for EX1, hopefully they will release more shade and different products soon! So, onto the products. Here are my thoughts on the products I own, how I use them and the pro's and con's. This foundation has been my go to foundation for about a year now. I think that shows just how much I love it, I've gone through one bottle already. I just find this to be such a perfect match for my skin that it's so easy to apply because I know it's going to match me. It's hands down the best matching foundation I've ever used, the undertone is so perfect for me. I also use Nars Siberia and Maybelline Fit Me in 110 which is just a tad dark for me if that gives you some reference to my shade. 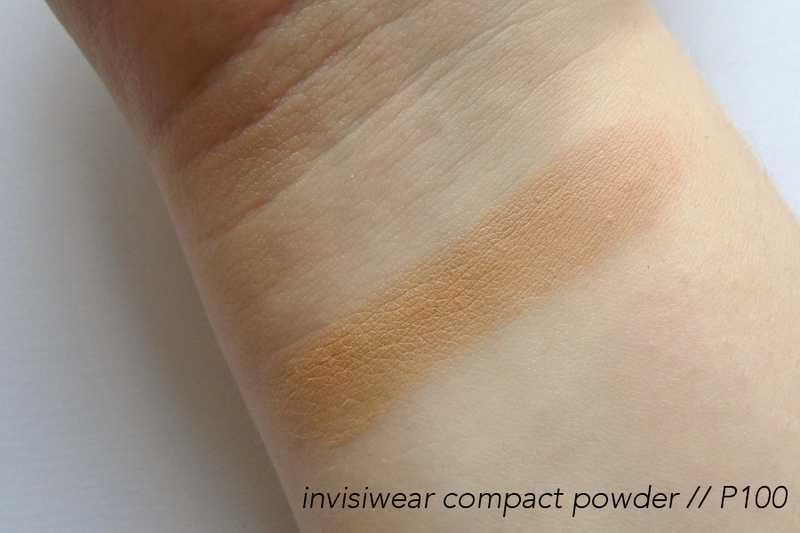 Formula wise, it's very moisturising but does set down on the skin, giving a semi matte finish. It's a very natural look on the skin, with a medium coverage that can be built up. I've used this on myself and it lasts all day on me, although I do end up oily at the end of the day, but that happens to me with every foundation. I also always powder my skin so that may increase the wear time. I actually use this foundation in my pro kit as well because it doesn't have an SPF which means it's really good for photography as it means there is no flashback. 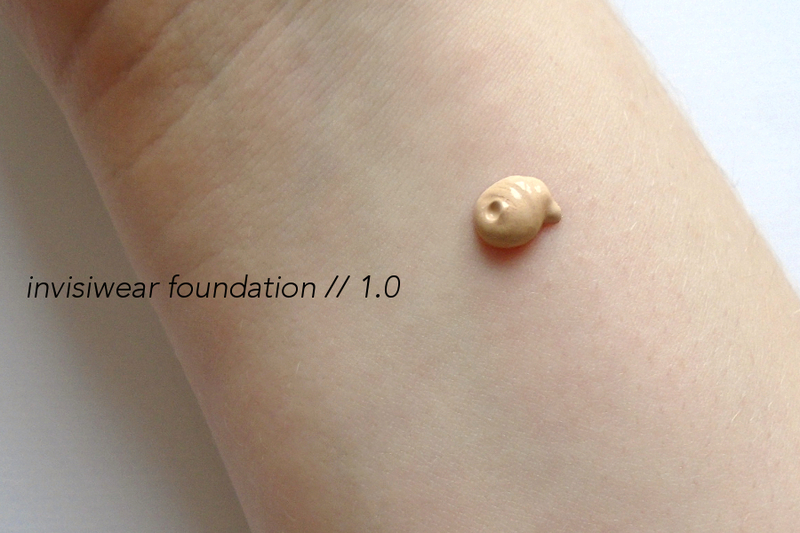 I find this foundation photographs incredibly well, which is probably why it's such a popular foundation for celebrities. I've used this on dry skin types and it sit really well on the skin and doesn't highlight are dry patches, so I think this foundation is well suited to a quite a range of skin types, best on normal skin but is also really nice on dry skin and can also be used on slightly oily skin. I typically apply this with a buffing brush, or a beauty sponge, and I find both ways of application to work well for me. The buffing brush gives a medium coverage but you can then stipple into areas that need more coverage. The sponge gives me more coverage and a really nice finish but I find that the foundation wears longer with the buffing brush. It's an oil and fragrance free formula, perfect for my sensitive skin. The only thing I have noticed is that after a while the foundation does slightly separate but it's nothing a good shake of the bottle can't cure. This foundation is around £12, so just slightly more expensive than most drugstore foundations but I think it's still worth it. The shade range is really impressive, obviously better for people with a yellow undertone in their skin, but it can works for lots of different people. I highly recommend this, it's probably one of my most used foundations and always looks lovely on my skin. Now before I get onto these other complexion products I'm just going to say that these don't match me so I can't use them in the conventional or intended way. I talk about this more above if you haven't read that bit! 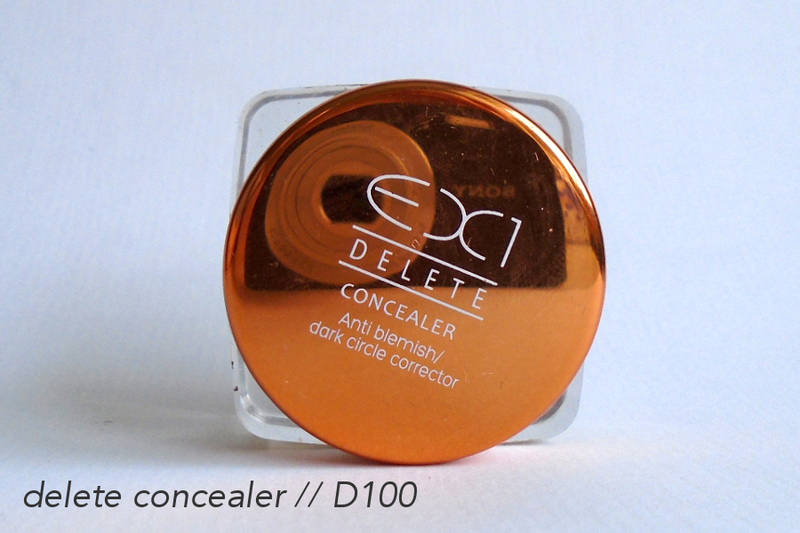 Anyway, this is the delete concealer, and is a cream concealer/corrector. 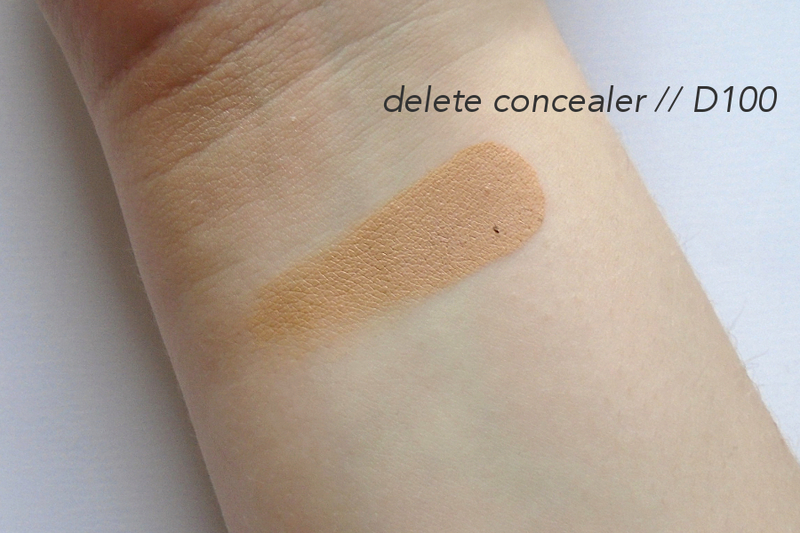 This is the lightest shade, I'd say it's more of an NC25/30 shade. I do actually really like this, and I use this as a correct under my normal concealer on days when I really need some extra help with my eye bags. It is very pigmented and the tone of it helps to correct purple and blue tones of the under eyes. Again this is an oil and fragrance free formula, but it's a hard cream, so you need to make sure that you warm up that product and it's best applied with either a flat concealer brush or a fluffy brush. You should also make sure to set it as well as because of it's crease texture it is prone to creasing. I do really think the undertones of these are great for correcting, which is how I mainly use this. I also use this as an eyeshadow base or to cut my crease, I mentioned this in my grungy cut crease post and video, I used this to cut my crease because it changes the duochrome of a blue brown shadow, the yellow makes the blue shine a bit more on the teal side. I also prefer to cut my crease with a harder product because I think using something too liquidy is hard to work with for the first time. 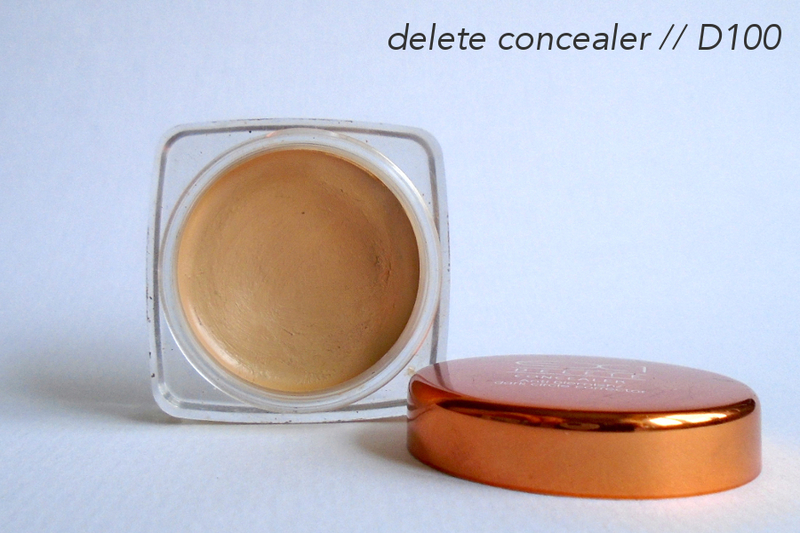 This does really blank out the lid so it seems it would make a really good concealer. 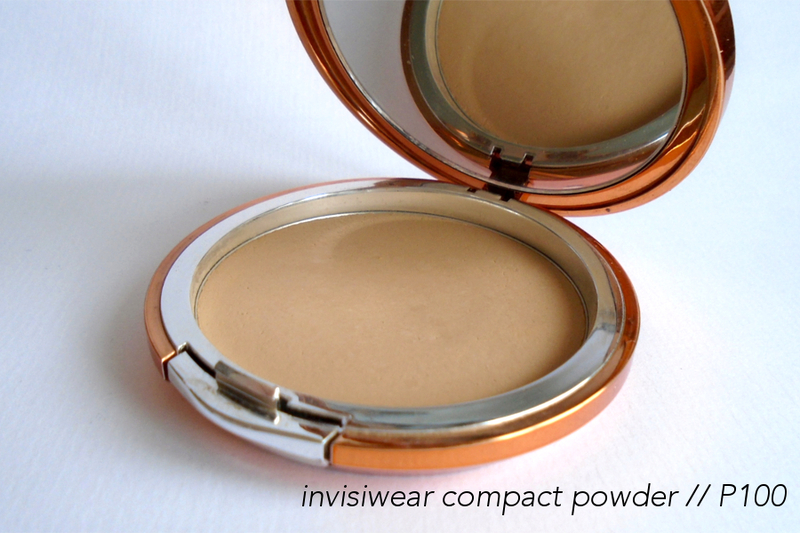 Again with this powder, it doesn't match my skin, but I absolutely love using this as a bronzer. That's a really good tip, using a face powder that is slightly darker than your skin tones because it ensure that you have a bronzer that is tonally similar to your own skin. It gives a really natural sculpt and definition to the face, without appearing too orange of stripy on the face. I really love to use this in the summer on my high points because it gives the sunkissed effect, if you tan you get darker but your undertone doesn't change, so it's perfect. I also really love this in winter because sometimes I feel actual bronzer can look odd and too orange on my slightly paler skin in the winter months. This allows me to have a sculpt bronze without anything too dark on my skin. This powder is meant to be a face powder, and I think it would work really well for that purpose. 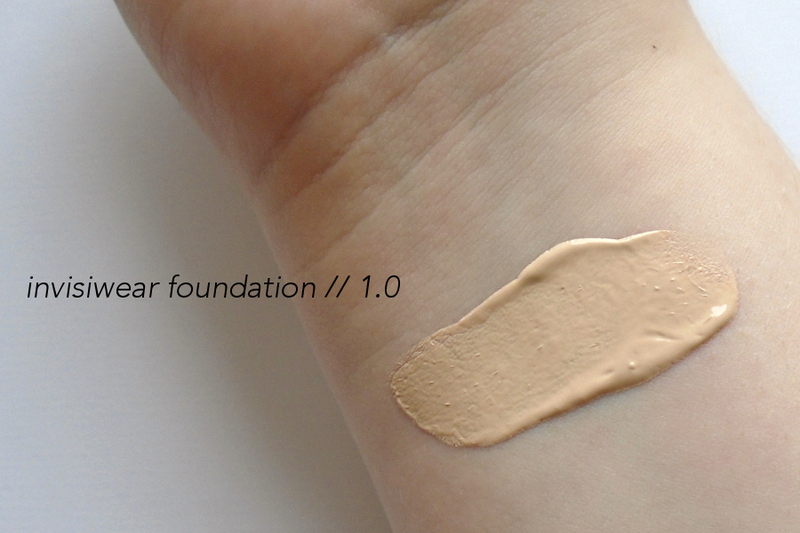 It's nicely pigmented so it can top up your coverage of your foundation, but doesn't look cakey. 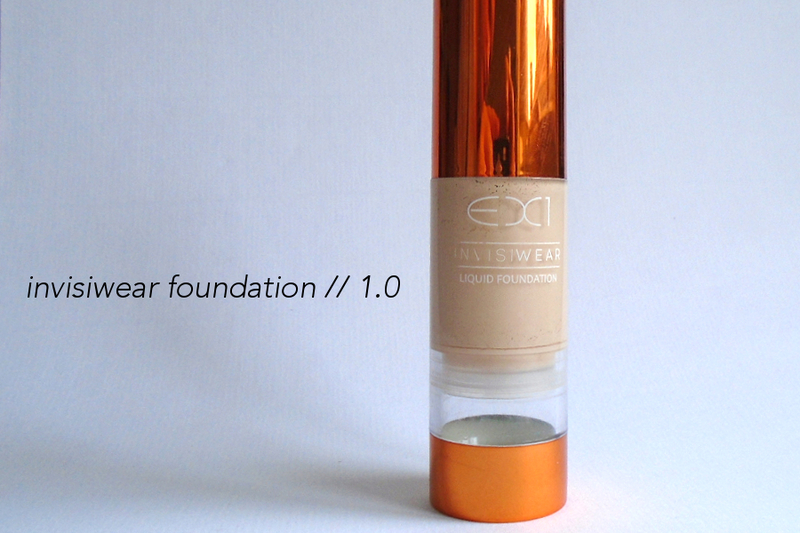 It applies smoothly and doesn't effect the foundation underneath. I will say if you build it up too much it can look heavy on the skin, but that's only if you really build up lot's of layers. I can't speak for it's oil control or how it improves the longevity of your foundation because I haven't used it in that way. 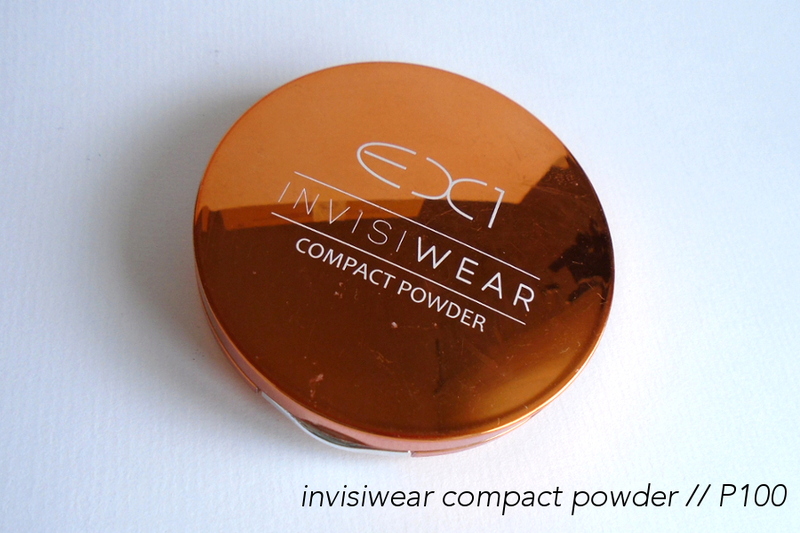 But I do really love using this as a bronzer and eyeshadow, it's a really nice powder for different uses. These blushes are probably one of my favourite products from EX1. 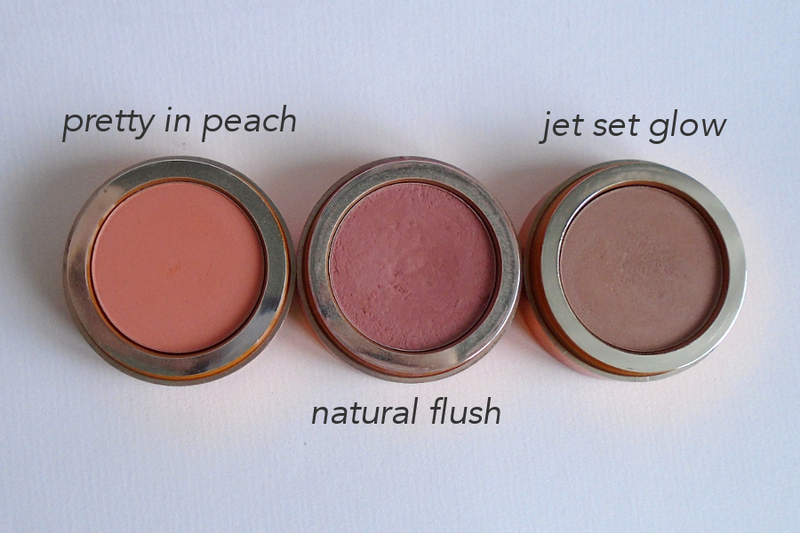 I'm not a blush abuser, so I really like soft and pigmented formula's because I apply my blush very softly. If you really swirl your brush in you will pick up and apply too much product. These are really pigmented so a little does go a long way, but it also means that they will work well for medium to dark skin tones because of that pigmentation. I know they have a few shades of blush that are darker than this, if you are a POC. These last really well on my, blush usually disappears from my face first, but these last for most of the day. 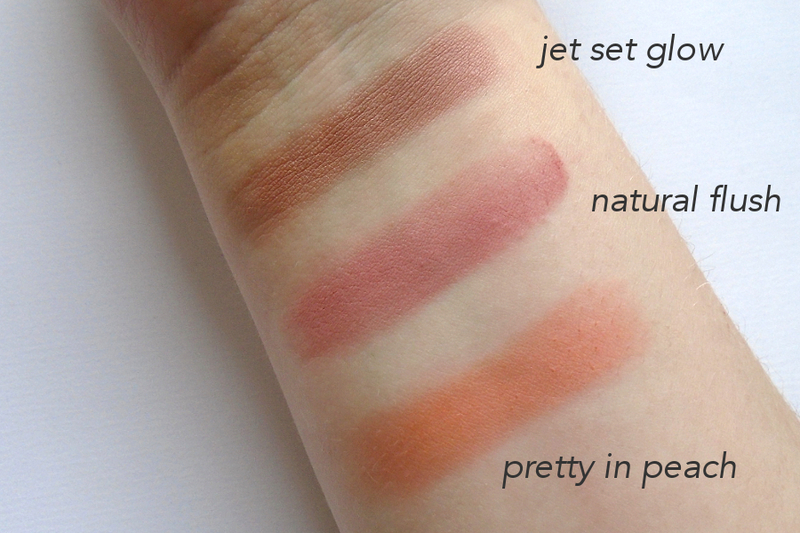 I don't really use Jet Set Glow just because it's not really my style, I'm more into warmer and pinky blushes. Jet Set Glow has a nice sheen to it, but I usually use it in combination with other blushes. I always reach for Pretty in Peach when I want a nice peachy shade, it's similar to Sleek's Life's A Peach blush if you have that, but just a bit more vibrant. I think you might be able to tell, but Natural Flush is my go to shade for blush, I wear it pretty much everyday. These types of dark mauvy pinks looks really good on my skin tone in my opinion, so if you have a similar tone to mine I would totally recommend this shade. These are hands down my favourite blush formula, so again I highly recommend them to you! So those were my thoughts on some of my EX1 products, hopefully this was an helpful insight into the brand and their products and helped you decide which products you want to try out from them. I also really like that EX1 are sold on amazon, I always find that really convenient because I'm a prime member so I always think that's good to mention. Hope you all have a great day!